It’s no secret that a nice smile can take you far in life, especially when you can smile with confidence. 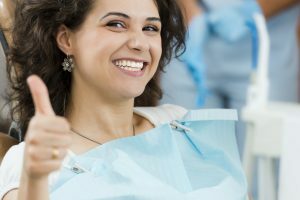 As a Westchester cosmetic dentist, we understand that helping you achieve the smile you’ve always wanted is important. It is also a process that takes time and trust from you. That’s why we want to answer your questions and help you understand the process of Invisalign. Invisalign in Westchester is an easy and inconspicuous way to get your teeth in line. It’s been growing in popularity for the past few years because of its easy-to-use process. The series of plastic aligning trays will slowly move your teeth to the way you and the dentist have determined they should look. Each time you get new trays, a different tooth (or set of teeth) will move, making for an almost painless process. You and your Westchester cosmetic dentist will predetermine which teeth will move when. They are also nearly invisible! This makes them a popular choice for those who don’t want to relive the 80s or spend time in the dentist’s chair getting metal brackets tweaked. While each case is different, once you’ve gotten your trays made (from an impression or from a digital scan), you’ll begin wearing the aligner trays. Generally, you will wear a new tray every week, depending on which teeth are moving. The controlled force will either push or turn specific teeth each week. We’ll have you come see us approximately every 4-6 weeks to get your next set of trays, to track your progress, and to make sure your teeth move how you want. The average adult will need about a year to get it all done, but again, the time can vary depending on your needs. You’ll need to wear the trays at least 20-22 hours each day. But, the advantage is that you can remove them to eat and drink, brush or floss. With Invisalign, you can have the smile you’ve always wanted. You’ll even be able to virtually view how your teeth will look when you’re finished before you even start! Depending on your teeth, your cosmetic dentist may suggest a retainer (also inconspicuous!) to wear, to keep those teeth where they should be. Call us today about Invisalign in Westchester, and we’ll answer all your questions!